Each log is personally selected for appropriate size, figure, grain, look, etc. Leaves are individually inspected for defects before being numbered. We do everything we can to ensure spaces are sequence-matched with similar leaf sizes. 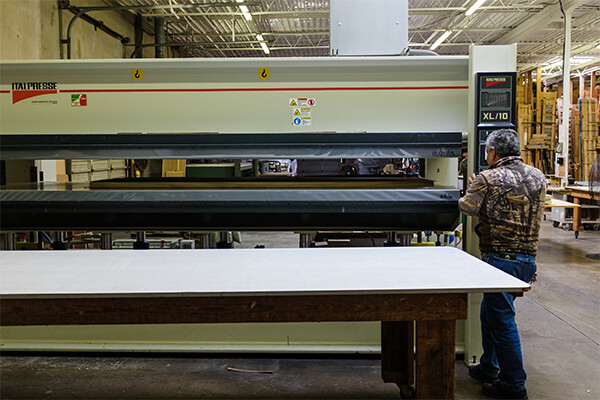 When faces are ready to be made, leaves are guillotine cut on all four sides to ensure perfectly parallel edges before being spliced together, providing a tapeless veneer joint. 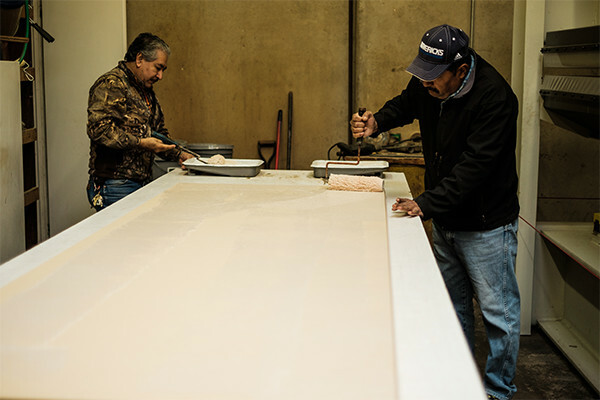 MDF core is sanded to ensure consistent thickness prior to pressing and to prepare the surface for glue. 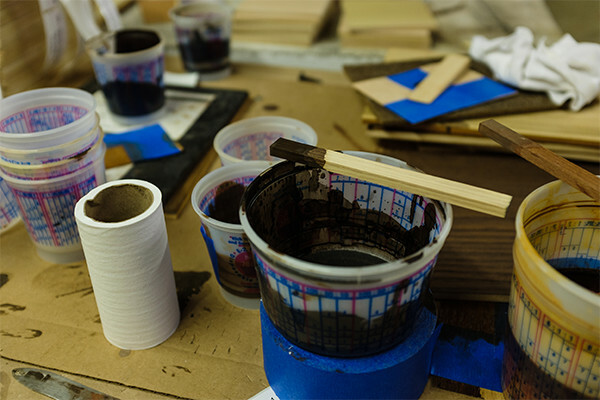 Veneer is pressed to core, labeled, and sent back to mill for further processing. 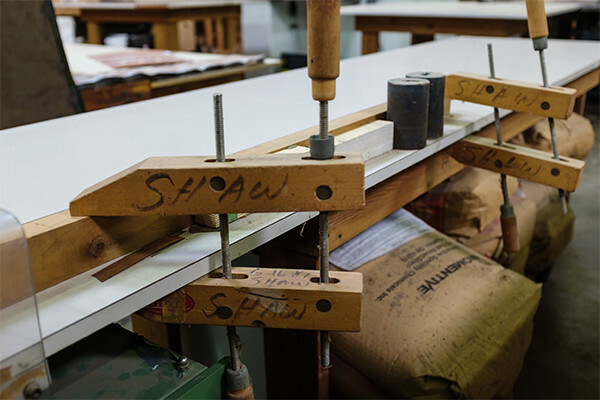 At Robert Shaw Manufacturing, we ensure that your product is made of the highest quality wood. 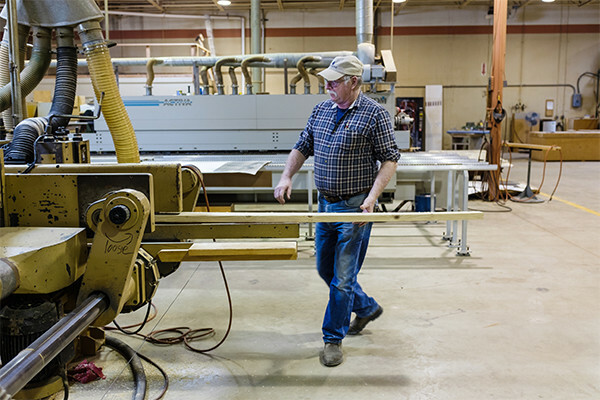 We mill all our own lumber and pay attention to details throughout the entire creation process. 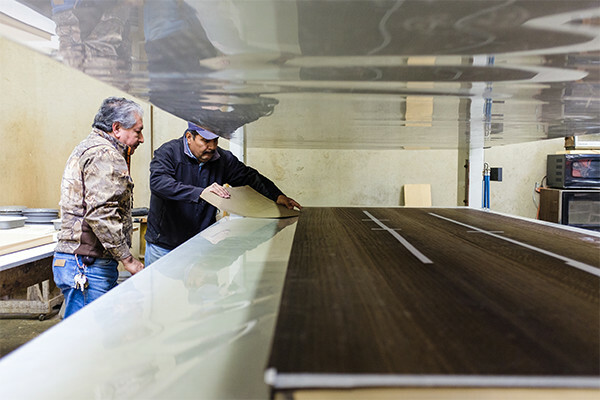 In order to make beautiful furniture, you often have to use the finest lumber. 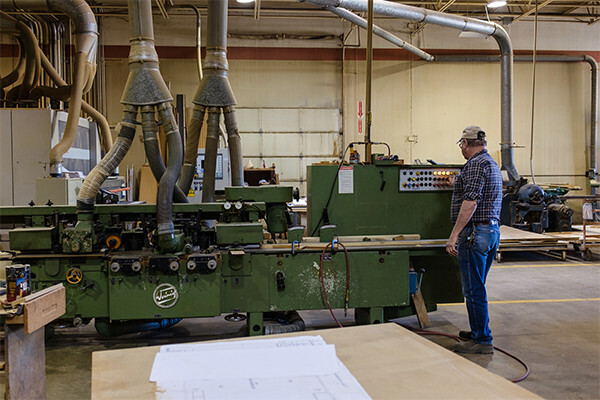 We mill all our own lumber using proven techniques to our own specifications. Sanding, sizing, profiling and edge banding occur here. 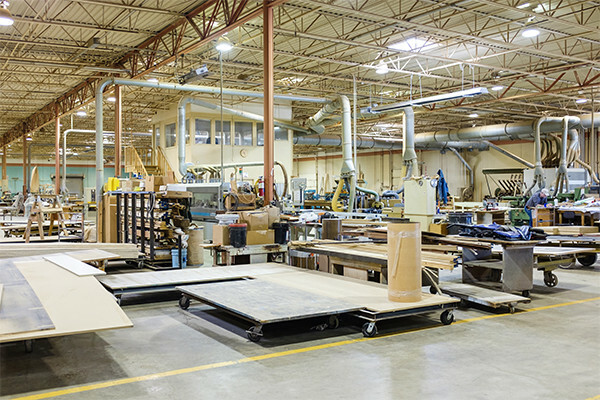 Whether a piece is part of a large production run or unique, care is taken to ensure each part goes together flawlessly. 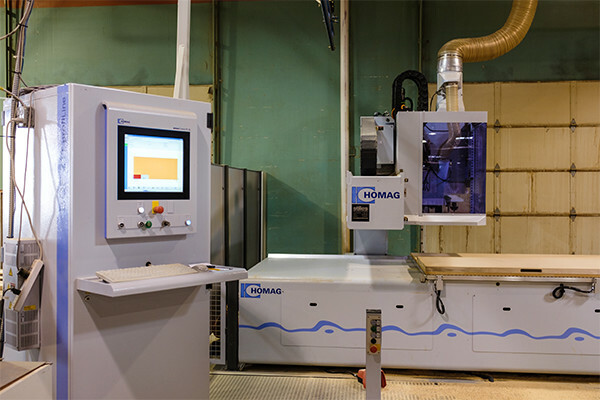 Our CNC capabilities allow us ultimate flexibility. 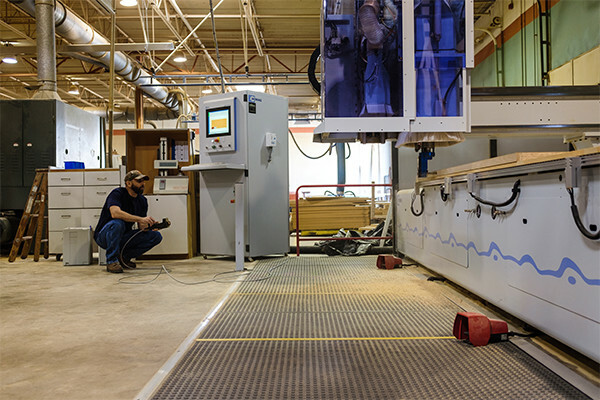 From casework to intricately designed boardroom tables, the CNC allows us to be perfect every time. The culmination of production, each piece is hand-assembled to the highest tolerances to ensure perfect fit and finish in the field. 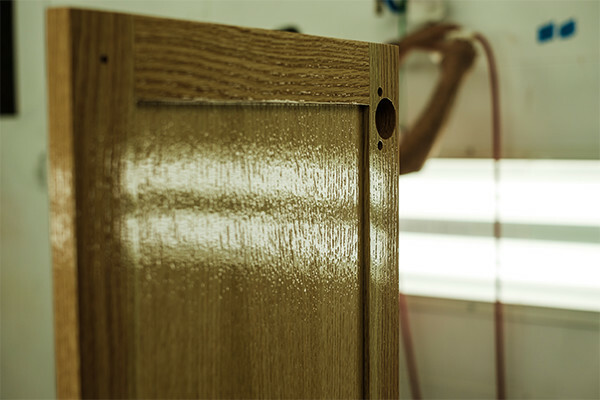 Before any finish is sprayed, each piece is hand sanded and inspected for defect, scratches, etc. 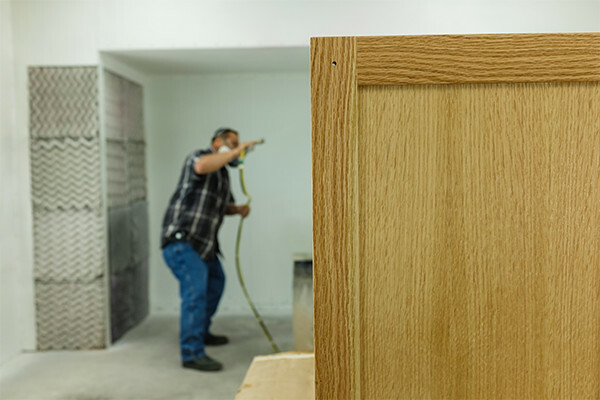 to ensure a flawless finish. 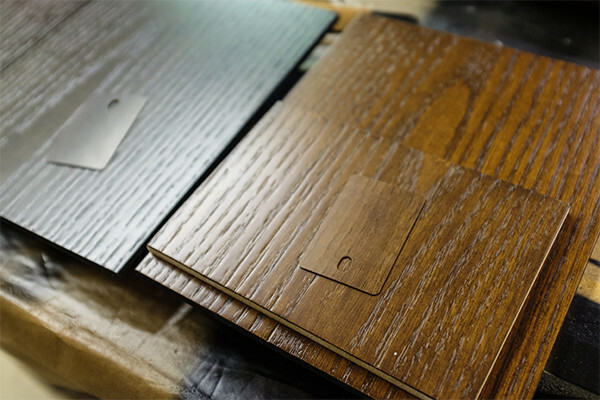 We have the ability to custom match any stain and color in house to ensure consistent results and provide total flexibility. 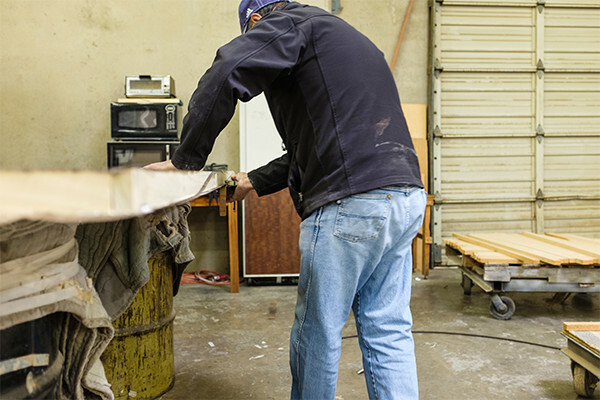 Between each coat of finish every piece is hand sanded again to provide the most perfect finish possible. 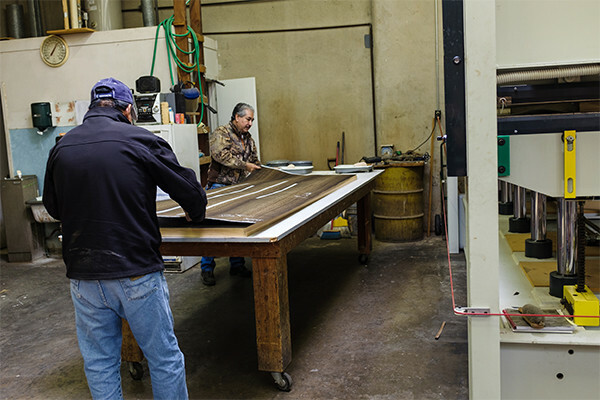 State of the art paint booth and spray equipment allow for consistent and beautiful finishes. Value Engineering, Problem Solving and Invention. Every project has its own unique problems and challenges. 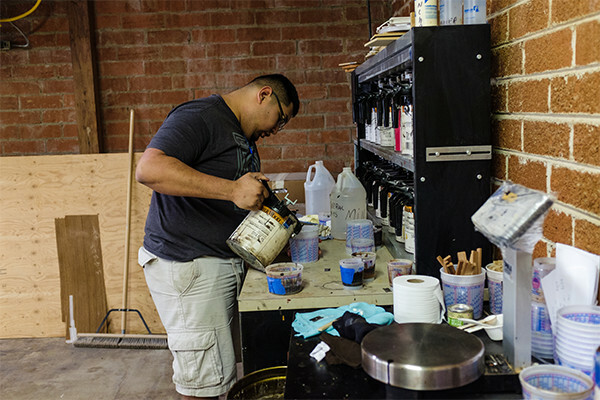 With our collective experience, we are able to come up with an effective solution every time.